Our weekend celebrations features contemporary worship, a message, and time for either prayer and/or communion. Additionally the service aims to incorporate ancient liturgical practices into a contemporary worship format. 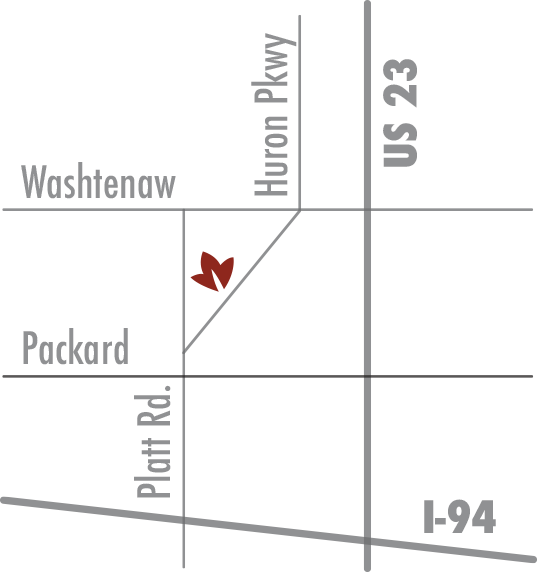 The Vineyard Church is located at 2275 Platt Road (Ann Arbor, 48104), just south of Washtenaw Avenue near the corner of Washtenaw and Platt (see map). The well-trafficked Washtenaw business corridor includes many plazas and outdoor malls incorporating a diverse range of shops and stores. The Huron Village Shopping Center, just a block north of the church, features a Barnes & Noble bookstore, Whole Foods Market, and Panera Bread bakery/café. The 141-acre County Farm Park, located diagonally across the street from the church, features the 51,000 square foot Meri Lou Murray Recreation Center, a community garden, and various nature trails. The Ann Arbor Transportation Authority (AATA, “The Ride”) buses all pick up and drop off near the church. Routes number 4, 5, and 7 run near the church on the weekends. See The AATA website for schedule and maps. 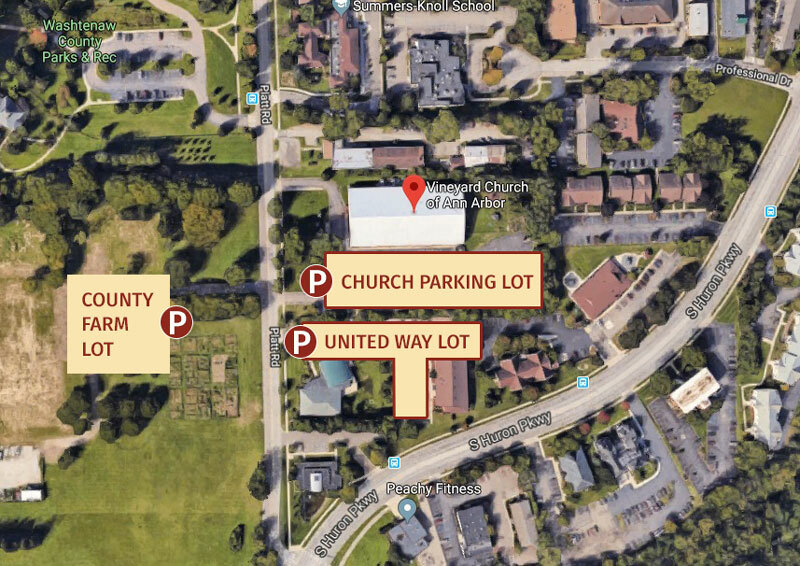 In addition to parking spaces on our property, guests may park in the United Way lot next door or across the street at County Farm Park. There is also a secure bike rack for those who wish to secure their bicycles. There are three “First Time Guest” parking spaces available near the front doors!